Gaspare Dori has been partner of CastaldiPartners since 2008. He has worked on more than a hundred acquisitions, joint ventures, restructuring and reorganization transactions, and has an extensive experience of private equity and real estate transactions, as well as the management of construction projects and international tender processes. 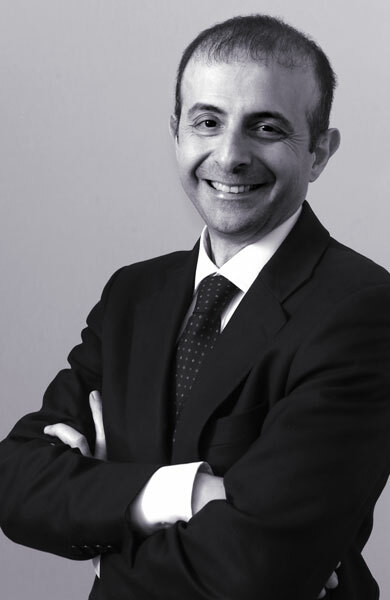 Before joining CastaldiPartners, Gaspare Dori had been Counsel at Clifford Chance, a law firm where he worked for more than twelve years, in Rome before and then in Paris, where he founded the French-Italian Group. Gaspare Dori’s client base consists exclusively of companies, both large / multinational companies and mid and small caps, with a particular focus on the commercial relationships between Italy and France. He is an Italian Avvocato and an Avocat au Barreau in France, and works equally in both legal systems in his areas of expertise. In his more than twenty-year experience, he advised clients of various nationalities in cross-border transactions between many European and non-European countries (including Russia, India and various African and Asian countries). Gaspare Dori also has considerable experience in managing commercial agreements and resolving conflicts between partners. His working languages are English, French and Italian. Advising a French multinational company operating in the telecommunications sector for the sale of a subsidiary. Advising an Italian company for the acquisition of two companies in the paper industry in France. Advising an Italian private equity fund for the acquisition of a majority stake in a fashion company. Advising a French-Italian private equity fund for the acquisition of a food processing company and a fashion company. Advising a French-Italian private equity fund for various operations of acquisition of minority interests in Italian targets. Advising a Belgian multinational company for the sale of two plants in France and Italy. Advising an Indian company operating in the pharmaceutical sector for the acquisition of a French company. Advising an Italian company in the renewable energy sector for the sale of its subsidiaries in France. Advising an Irish private equity fund for the creation of a joint venture in the oil & gas industry between various Countries. Advising a French multinational tourism company for the sale of a resort and the opening of a new facility in Italy. Participation in various conferences held in Paris on Corporate Governance in Italy. Trainer on restructuring operations at ASLA (Associazione Studi Legali Associati) in Milan. Lecturer for a course on joint-ventures at the Université Paris X - Nanterre. Gaspare teaches comparative French-Italian contract law at the Université Paris X - Nanterre.